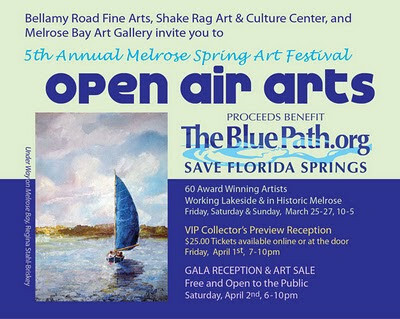 I'm working outside this week at the Melrose Open Air Arts event. If you are in the area stop by the info tent to find out where we are painting. Click here to go to the online catalog, flip it open and you will see a detailed schedule. I'm guessing that this scene may look a bit odd to some of you so I'm including a picture I took from my easel set-up. How do they get that little sailboat past all those cypresses? Painting the piece on site was a real pleasure: waterbirds and migratory songbird all over, and lovely weather. The is the 3rd of the 4 Melrose OAA paintings. The last I will post for now because I forgot to take a picture of the 4th, a small blue sailboat docked amid cypresses on the lake. This is another of the 4 from Melrose OAA. There was an eagle's nest that appeared active within view.